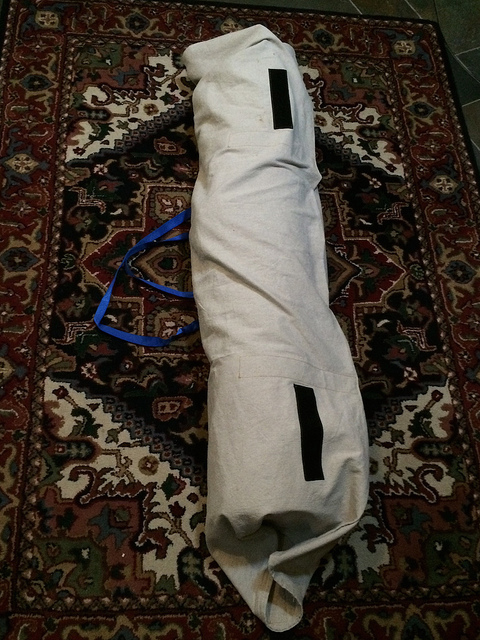 Rather than pay half of what I paid for my 8 inch Dobsonian telescope for a case to transport the scope tube in - I made a simple case from a tarp, some Velcro, nylon webbing, and a luggage handle wrap. Total cost was about $20. 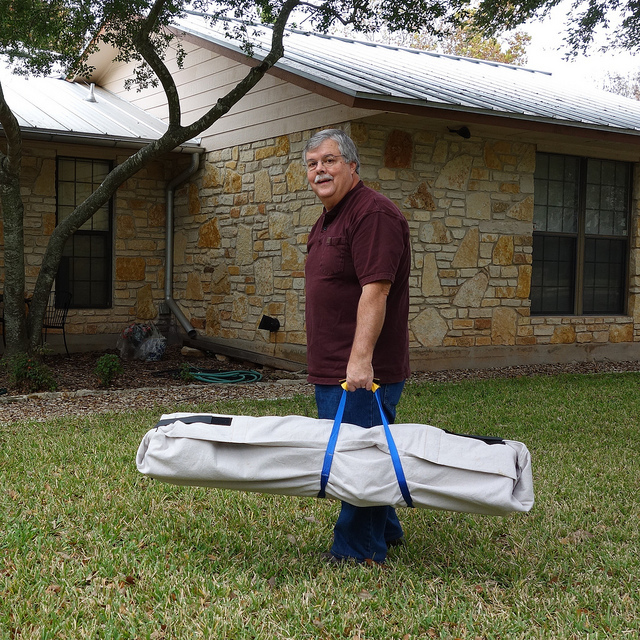 I folded the 8.5' x 5.5' tarp in half for extra cushioning and to get the right size for my scope. 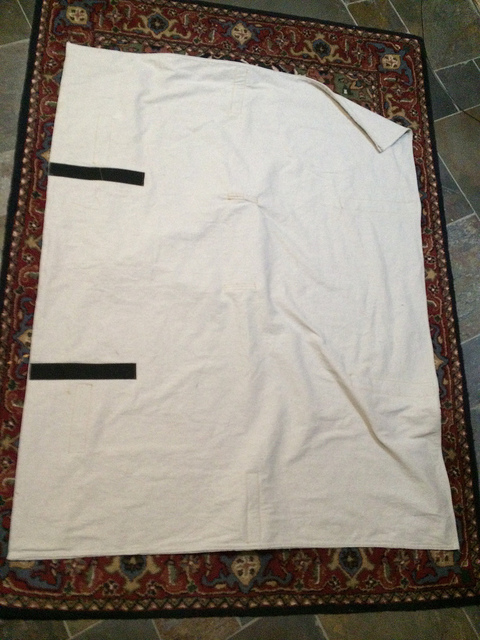 I sewed the edges of the tarp together to start. The Velcro and straps are placed by trial to fit your scope. The carrying strap wraps around the scope pivot for good balance. 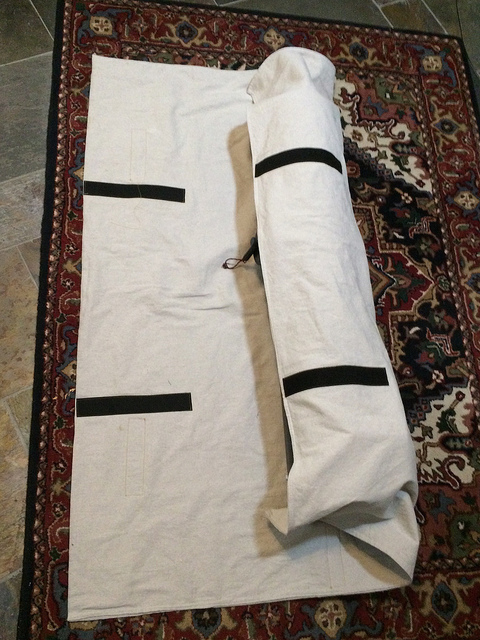 Canvas tarp folded and sewn along the edges in half. 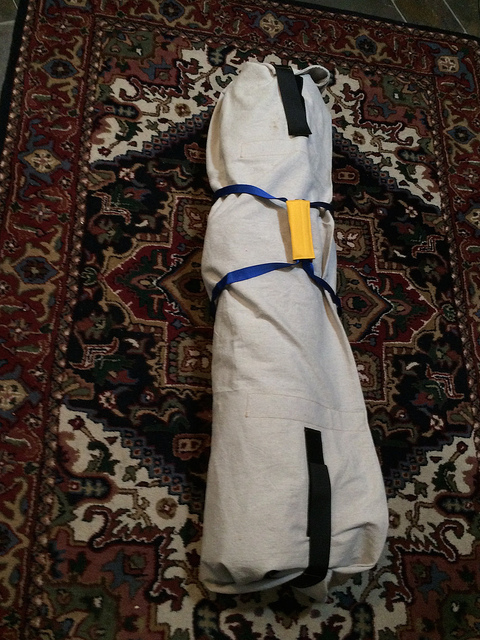 This shows the outside/bottom of the canvas with the Velcro and nylon webbing sewn to fit my scope on the outside. A step by step sequence of folding the case reveals the placement of the matching Velcro strips. The inside surface of the case with just two strips of Velcro. Center the telescope tube on the inside of the case with the pivot above the carrying straps. Make the first fold from the eyepiece focuser side. 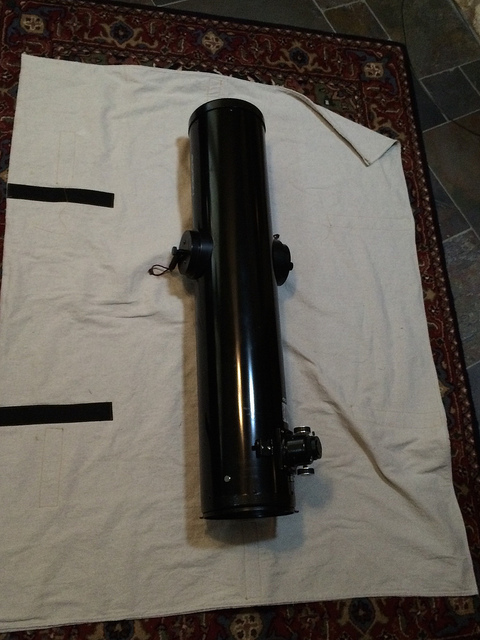 Fold the other side around the telescope tube, attaching the now hidden Velcro strips. The wrap should be tight around the tube and there will be extra material covering the eyepiece focuser. 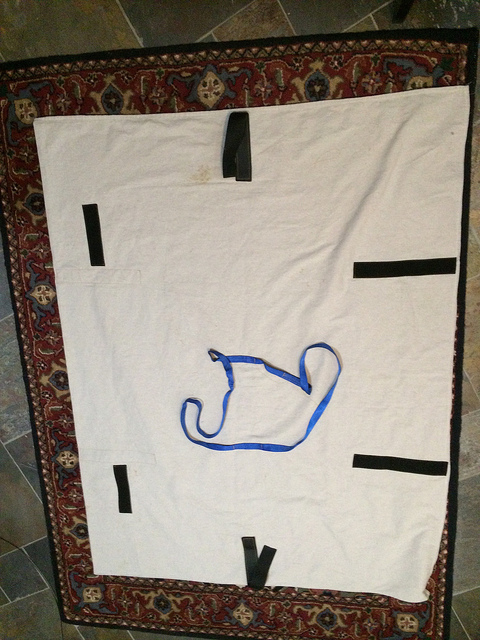 Fold the ends of the tarp against the telescope tube and fasten on top with the Velcro strips. Gather the two ends of the webbing and attach with the luggage handle cushion. You are ready to go!